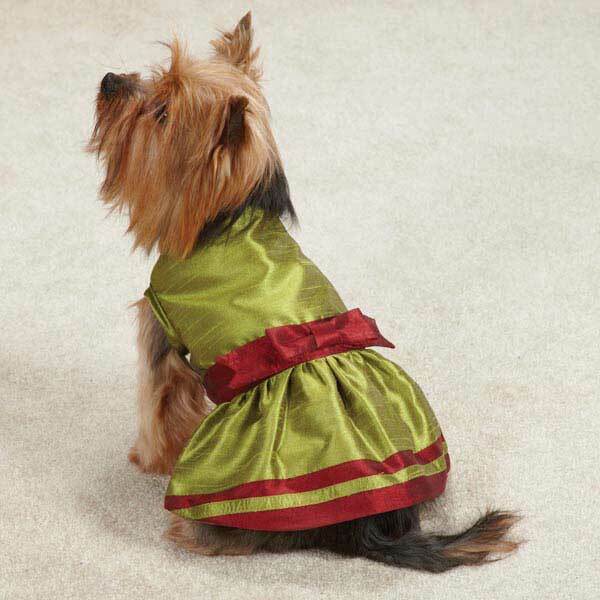 Add shimmering style to any pup’s holiday wardrobe with our East Side Collection® Holiday Shimmer Dress that is perfect for photo ops. Pretty pups will be joining in on the holiday fun with our East Side Collection® Holiday Shimmer Dog Dresses. 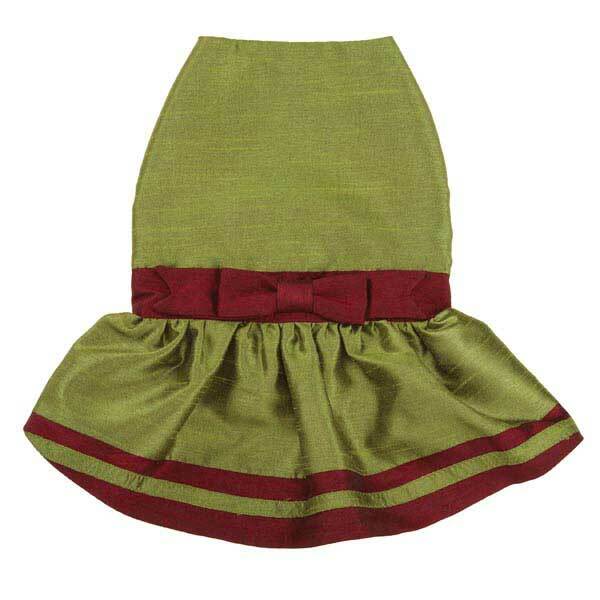 Complete with contrasting satin belt, bow and trim. Made of 100% Polyester. Machine wash in cold water on gentle cycle. Line dry. Small • Back Length: 12" • Chest: 16" (Most Important) • Neck: 11"